For the best game viewing in Malawi, only Majete National Park will do, whilst for the best safari accommodation, Mkulumadzi is the clear winner. 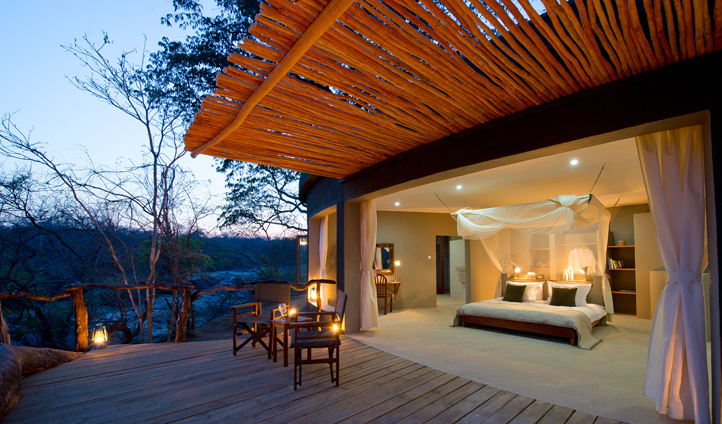 The perfect combination of splendid isolation and first class facilities, Mkulumadzi sets the bar for luxury safari lodges in Malawi – and it sets it high. Eight luxurious bush chalets perch on the banks of the Shire River offering incredible opportunities to spot wildlife without even getting out of bed. When you’re not peering through a pair of binoculars, cool down in the infinity pool or huddle around the campfire and swap stories with fellow safari-goers, before a gourmet meal under the stars. Sprawling across 70,000 hectares of Southern Malawi and making up part of Africa’s Great Rift Valley, Majete National Park is the only place in Malawi to see the Big 5. A picturesque reserve of miombo woodlands, granite topped hills and lush riverine forests, you’ll see everything from the big to the small. Sitting at the confluence of the Mkulumadzi and Shire Rivers and shaded by giant leadwood trees, Mkulumadzi offers bountiful safari viewing options, each with a different perspective of the abundant wildlife. What’s more, at just a two hour scenic drive from Blantyre, Mkulumadzi is easily accessible year round. Mkulumadzi’s eight bush chalets are as luxurious as they are spacious and with contemporary furnishings are an ideal space to retreat to after a day out game-spotting. Flooded with natural light, the chalets give the sense of being out in the bush but without any compromise on comfort or privacy. Take the outdoor showers – open to the surrounding bush to give the sensation of bathing in a waterfall, yet with stone clad walls to maintain your privacy. It’s easy to feel at one with nature here, with fantastic views from your private terrace as well as sloping vegetated roofs, planted with indigenous plants, adding an eco-friendly element that doubles as a cooling effect for the hot summer months. Mkulumadzi really is the full African adventure. 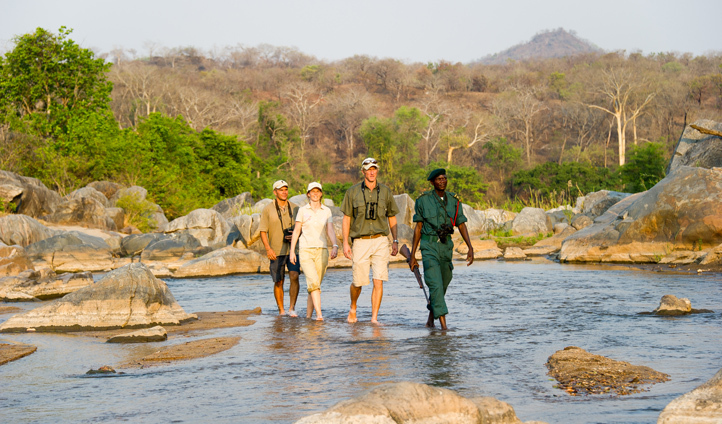 Right from your arrival across a footbridge suspended over the Mkulumadzi River, you are at the heart of a true wilderness. It’s so much more than just your average safari here though as you head out on more than just game drives, but walking safaris, boating safaris and viewing hides. Our pick though? Start the day making the most of the cooler morning temperatures on a walking safari along scenic routes where you can get an up close look at birdlife and smaller animals whilst also taking in some larger mammals. Later, experience the thrill of crawling into one of the comfortable hides that overlook a waterhole and have your camera at the ready as all creatures big and small flock to drink.